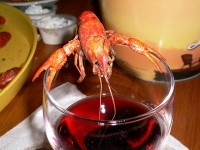 Sample Mississippi's favourite delicacy, a small version of the lobster, cooked and served up in a variety of hot and spicy ways at the annual festival honouring crawfish. Activities on offer include live musical entertainment, carnival rides and of course vendors supplying plenty of treats for seafood lovers. Over the last few years, the festival has evolved from a small foodie event to a full-fledged music festival, held over two weekends in April. The diverse line-up includes genres like country, zydeco, rock, blues, and R&B.